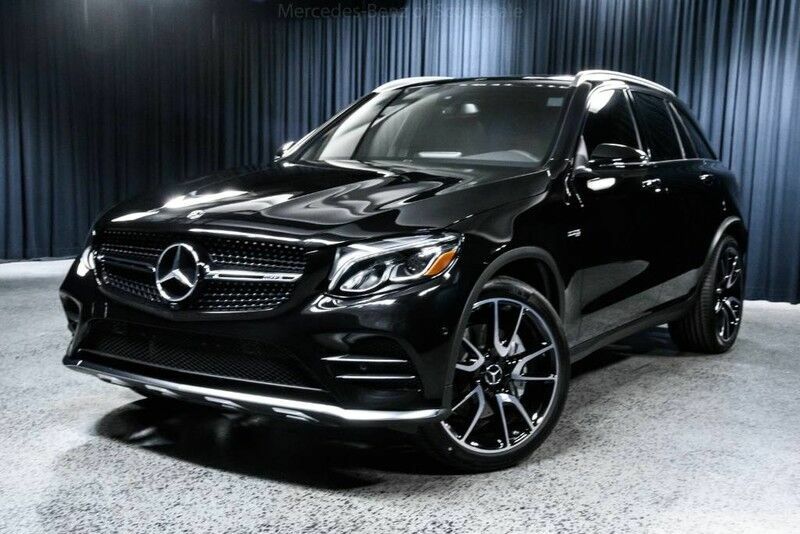 This 2019 Mercedes-Benz AMG GLC 43 is offered to you for sale by Mercedes-Benz of Scottsdale. This Mercedes-Benz includes: PARKING ASSISTANCE PACKAGE Automatic Parking Hands-Free Liftgate Back-Up Camera Remote Trunk Release OBSIDIAN BLACK METALLIC BURMESTER SURROUND SOUND SYSTEM Premium Sound System LED HEADLAMPS MULTIMEDIA PACKAGE Navigation System CD Player Auxiliary Audio Input Hard Disk Drive Media Storage Entertainment System MP3 Player PANORAMA ROOF Panoramic Roof Generic Sun/Moonroof Sun/Moonroof Dual Moonroof SADDLE BROWN/BLACK, LEATHER UPHOLSTERY Leather Seats *Note - For third party subscriptions or services, please contact the dealer for more information. * Want more room? Want more style? This Mercedes-Benz GLC is the vehicle for you. You appreciate the finer things in life, the vehicle you drive should not be the exception. Style, performance, sophistication is in a class of its own with this stunning Mercedes-Benz GLC. Savor the satisfaction of safety in any condition with this AWD Mercedes-Benz GLC. Superior acceleration, unmatched traction and stability as well as a luxurious interior round out the impressive features of this AWD Mercedes-Benz GLC. If you are looking for a stunning vehicle with an equally impressive entertainment package, look no further than this amazing ride. Added comfort with contemporary style is the leather interior to heighten the quality and craftsmanship for the Mercedes-Benz GLC. Enjoy the drive without worrying about directions thanks to the built-in navigation system. This outstanding example of a 2019 Mercedes-Benz GLC AMG GLC 43 is offered by Mercedes-Benz of Scottsdale. Want more room? Want more style? This Mercedes-Benz GLC is the vehicle for you. Today's luxury vehicle is not just about opulence. It's about a perfect balance of performance, comfort and attention to detail. This 2019 Mercedes-Benz GLC is the perfect example of the modern luxury. You'll love the feel of AWD in this 2019 Mercedes-Benz GLC. It provides a perfect balance of handling power and control in virtually every driving condition. The look is unmistakably Mercedes-Benz, the smooth contours and cutting-edge technology of this Mercedes-Benz GLC AMG GLC 43 will definitely turn heads.